Having taken on the less gruelling, but thoroughly enjoyable, the monthly Jackal Run, we wanted to challenge ourselves with something a little further and more difficult. My wife and I started really enjoying the challenge of running together and more importantly overcoming the challenge together. 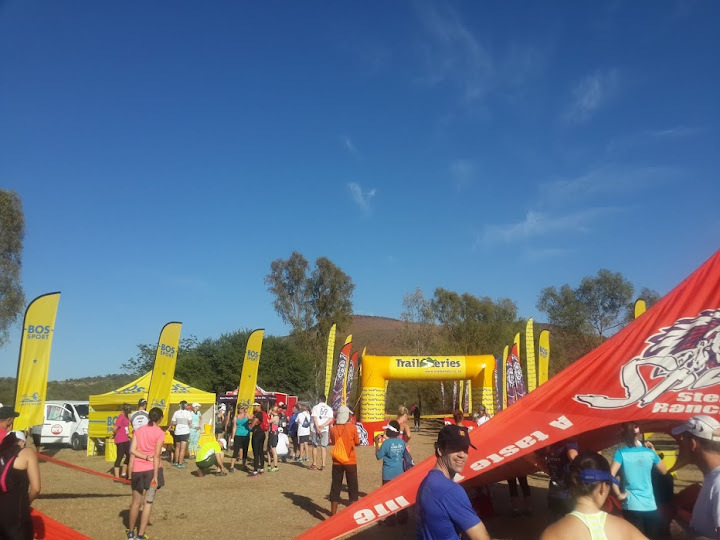 We started looking at races to do and after a few friends said they did the winter series, we decided to try the Spur Summer Trail Race Series. We missed the first event of the 4 round series as Taryn was in Dubai for the WARR Race, which you can read about on All Things Jabu next week. So Round 2 was our Round 1 and it took place on the 1st of November at Segati in Hartebeespoort. We decided that for our first trail run series we’d do the short courses, which aren’t really short in our books, they’re just shorter than the long runs! Segati was a 7,5kms run with an overall incline of around 200m. A nice challenge to start with! We decided to enter ourselves in the G group for the race. The races let you enter into different runs thus A is the quickest group in the long group, going down to the beginners in D and the same set up for the shorter trail for E through G. This is great as it limits bottlenecking and removes the anxiety often associated with running with quicker groups. A solid start made us think it was easy until we hit the incline. All of a sudden our little trail run had become a hike! It was hard and gruelling but that’s what makes overcoming it even better. We kept strong and moving forward, running once we felt ready and reaching the top was a wonderful feeling! The downhill was easier though, however with loose rocks you can’t get complacent as there is still a lot of concentrating to be done! We got onto the final straight and pushed through to the finish feeling great! Our official time was 1 hour and 2 minutes, meaning that we were 138th and 139th. Taryn was 30th in her age grouping and myself 52nd in the men’s open group. We were extremely happy in our showing on our first trail run! One of the lessons we have learnt and it was underlined again at our second race on the 8th November, is that purpose built trail running shoes are imperative to your challenge. But I digress, we took on the second race just a week later. This race was a different beast. It was shorter with a longer incline, which was thankfully not as drastic. Even with a 7:15 start we were already battling the elements as the Gauteng heat streak offered an extra challenge. We felt really strong for the race and I am starting to see the difference it makes in becoming racing fit. We managed to do the 6,7km course in 47mins! Slightly higher in the standings 127th and 128th. Taryn was 27th so it was another great result for her! There’s nothing more motivating than seeing improvement. 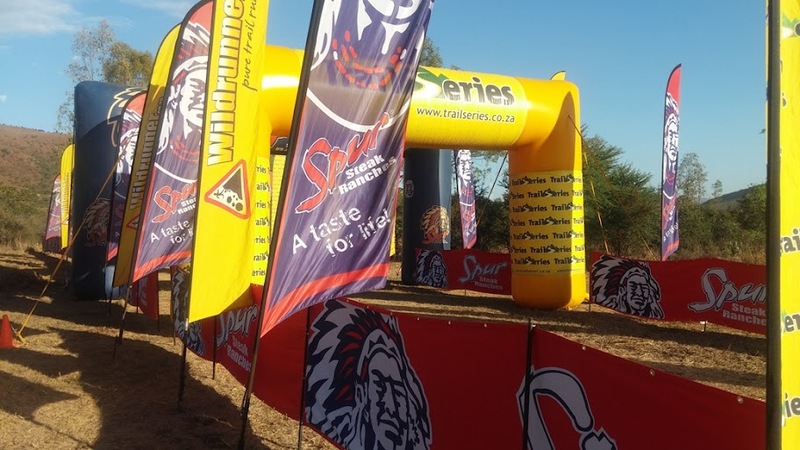 The last race is on the 6th of December also in the Harties area. You get a medal for completing 3 of the 4 events. It will be a medal we’ll feel we’ve worked hard to get! Our aim is push ourselves higher up the overall standings and see from there. 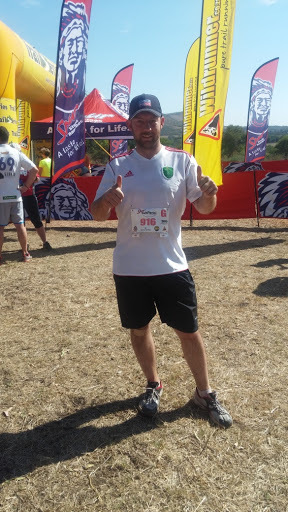 We will be aiming to do a lot more of the trail runs in the New Year and we will keep you posted about all of these adventures on All Things Jabu. We’d love to see you on the trail one Sunday Morning. As our friends at PUMA say, No Matter what!